Why Join East Bay Heritage Quilters? Quilters of all ages, levels, and interests are invited to join our guild. Our purpose is to support the traditions of quilting and to encourage the growth and development of quilting through art, education, and community. Our guild numbers about 400 women and men who embrace both traditional and contemporary styles of quilting as evidenced by the quilts and wearable art displayed in our biennial show, Voices in Cloth. View past shows in our Gallery. Speakers and Workshops. Come to our general meetings, held the last Monday evening of the month and learn about the work and process of one of our outstanding guest speakers. Our monthly daytime workshops feature outstanding artists teaching a wide variety of techniques such as applique, embellishment, hand and machine quilting, surface design and fabric dyeing, screen printing, printing images or photos on fabric, soft sculpture, and mixed media art. Helping Hands Project: The main source of the Guild’s annual income is derived from our membership. There may be some members who have a financial hardship and cannot afford the annual membership to the Guild. At the discretion of the President a waiver for membership on an annual basis can be granted. The waiver is considered by submitting to the President information explaining the financial need sent in a letter to President, PO Box 6223, Albany, CA 94706 or by email to ebhqpresident@gmail.com. All information will be held strictly confidential, protecting the applicant. Resources. We have an extensive library on quilting topics and related topics. Members may borrow up to 3 books each time for a month. 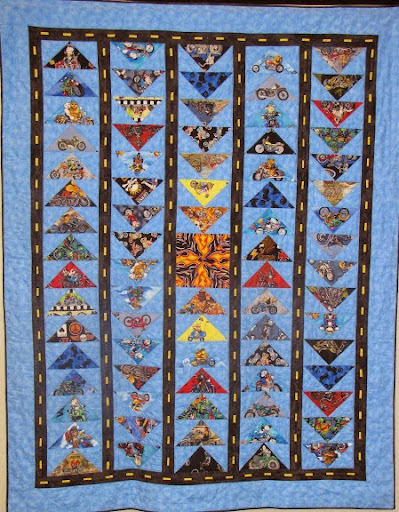 You can post photos or your own work and share quilt related announcements on our blog. The Friendship Knot, our monthly newsletter, keeps you up to date on guild business and activities. Drop-Ins provide a place for members to gather to work on their own quilts or other textiles and socialize. Tables are provided to layer and baste a quilt, and we have irons, ironing boards, and design walls for you to use. Evening Meet-Up is a great place for you to learn about the guild, and socialize with current members during a potluck supper. Later, a Tips and Tricks session is presented, and those who choose can do a Show and Tell of recent work. Quilt Shows. 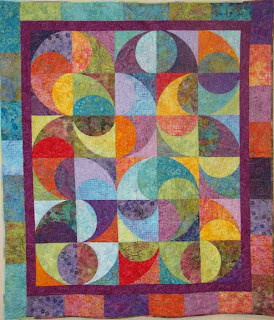 We actively participate in various area quilt shows, allowing you to enter your quilts for viewing in the Bay Area. Every two years we host a non-juried show, Voices in Cloth, where each member can show at least one quilt. Check out the Gallery on our Web site for photos of recent shows. Community and Community Service. Meet others with similar interests. Many of our members have formed mini-groups that meet regularly to share ideas, get input on their quilts, travel together to area shows and exhibits, and set challenges for themselves. This feeling of community and support exemplifies the quilting tradition. Volunteers in our guild also make and distribute an average of 1200 quilts a year to local children and older youth in need. Quilts are also distributed to areas needing disaster relief and to comfort victims of violence. Members: Join EBHQ's Sponsorship Circle, the annual tax deductible donation which helps EBHQ meet expenses. Join by credit card here. To donate by check, complete the form you should have received in the mail. Questions? Contact us at ebhqmembership@gmail.com.